Tease your brain, test your word knowledge & have fun with the vibrant & ultra✅ challenging Candy Word Puzzle Match. This word matching game is a real relaxing puzzle word match adventure that is sure to entertain any word finder & word search fans! 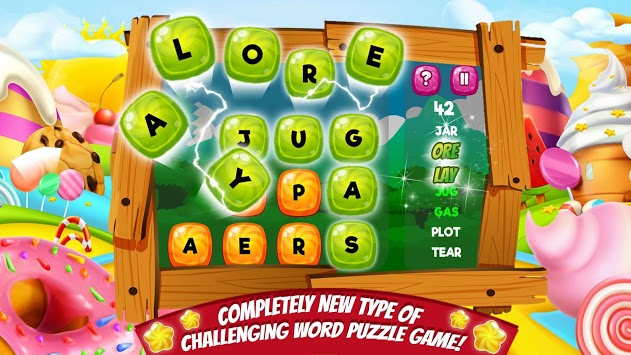 This new family friendly, puzzle literacy game enables you to enjoy new words with the mix of a puzzle word searching experience similar to scrabble. Change it up with 900 levels and 3 different difficulties from easy to extremely challenging. 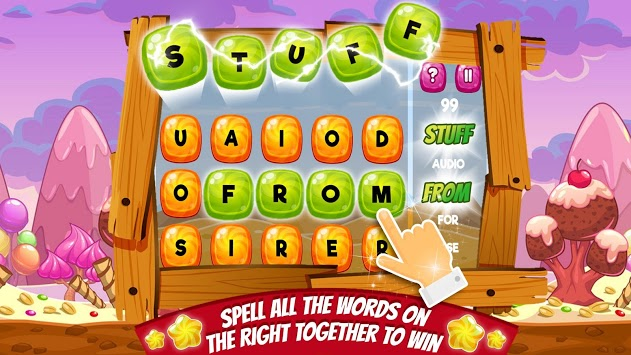 Candy Words is completely different than the million wordscape type of games. Swap any of the letters to spell the words on the right. Spell words from left to right or top to bottom. Spell all the family friendly words correctly together to win stars, points, and coins. You’ll never experience a dull moment after you try this free addicting literacy scrabble type game! Play this family friendly boggle type word game once and you won’t be able to put it down. ✅ Simple, easy, and addictive gameplay that is fun for the whole family! ✅ 900 levels (and more to come)! ✅ Log in every day for a daily reward! ✅ Hints available for a cheap amount of coins! ✅ All words are scrabble and boggle approved! 1. Multiplayer with friends and random opponents. 3. Languages (Spanish and Portuguese currently in the works and more to come after). 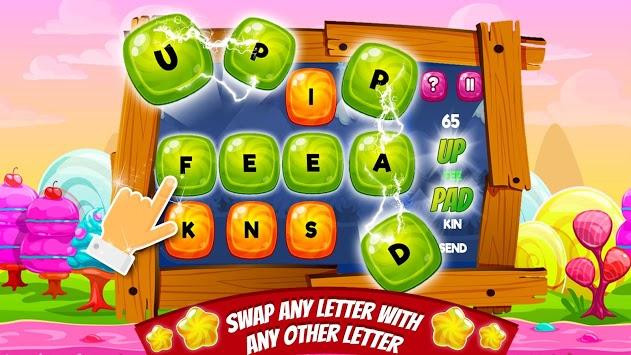 Swap and match letters to match the words in each level.